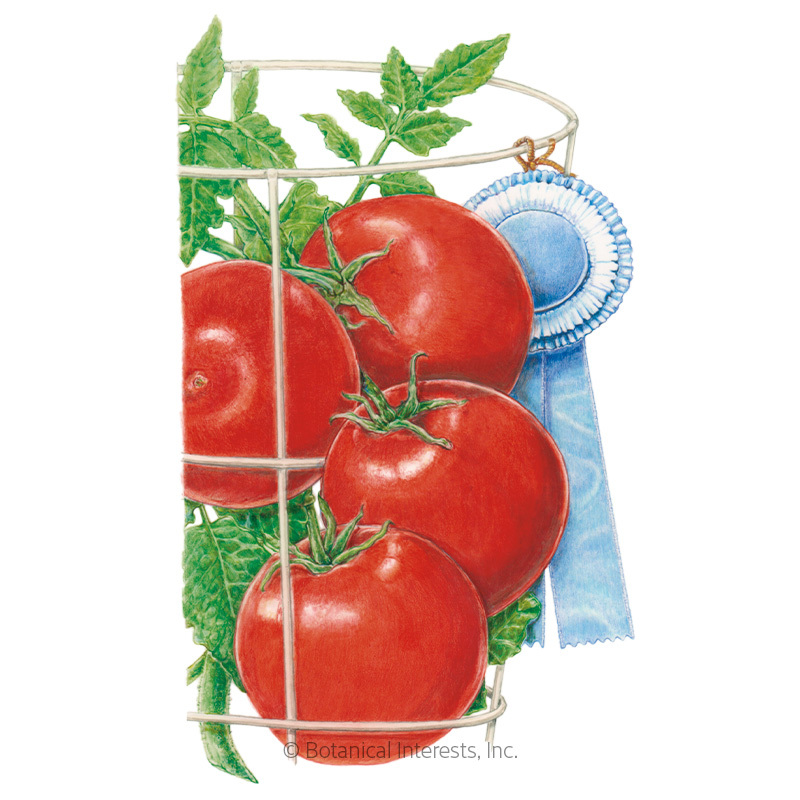 A very popular variety for commercial growers in the 1950s and 1960s, 'Moneymaker' earned its name because of its uniformity and reliably heavy yields. The medium-sized fruits are sweet with a meaty texture, making them versatile for use in fresh or cooked dishes. A good choice for greenhouses as well as outdoors. A favorite of southern gardeners and those in climates with hot, humid summers. 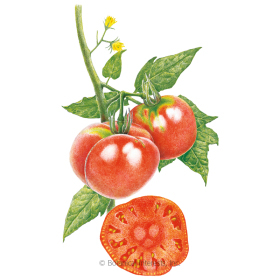 Variety Information: 3 ½–4 ounce, 2 ½" globe-shaped fruits. 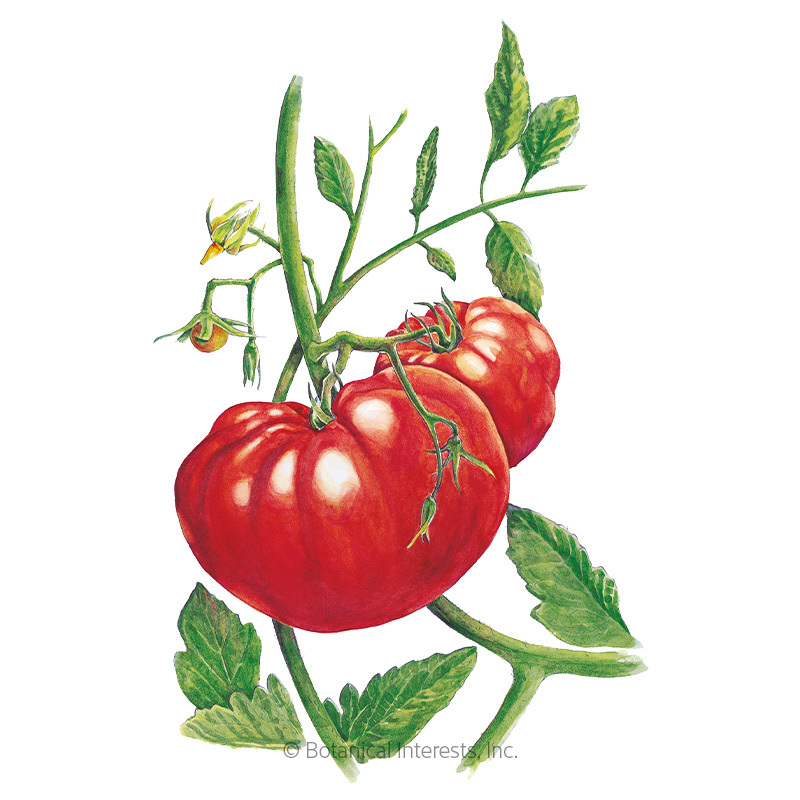 Harvesting: 'Moneymaker' tomatoes are at the peak of sun-ripened deliciousness when they are fully red, and have a slight give when gently squeezed. 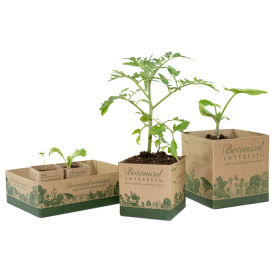 Moneymaker germinate, grow reliably, and produce well in our unpredictable summers. Through wet variable temps spring, dry hot summer the fruit are plentiful well into fall. The flavor is very good and maybe smaller than expected without some irrigation. 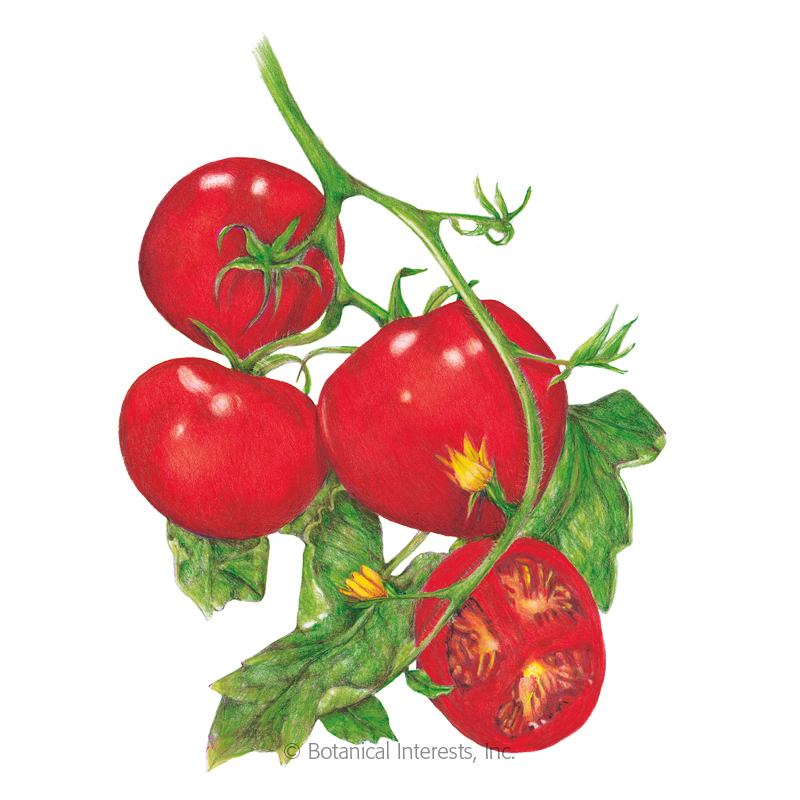 This tomato is very reliable and flavorful.